Vitra Miniature Barrel Chair, Frank Lloyd Wright: Originally designed by Frank Lloyd Wright in 1904 for the D. D. Martin House in Buffalo, New York; this iconic chair was an embarkation from his earlier linear furniture designs; due to its round shape. 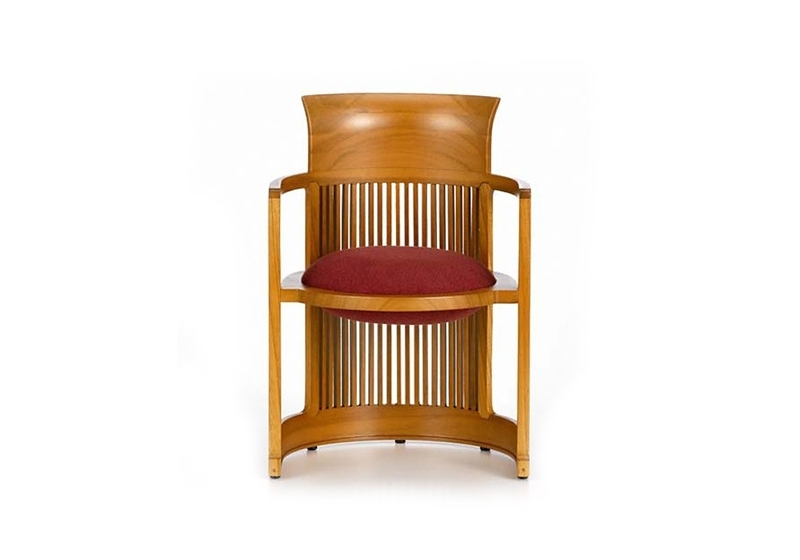 Original features included a flared backrest, square spindle supports and a cushioned double-sided circular seat. Vitra Miniature Barrel Chair, Frank Lloyd Wright: Originally designed by Frank Lloyd Wright in 1904 for the D. D. Martin House in Buffalo, New York; this iconic chair was an embarkation from his earlier linear furniture designs; due to its round shape. 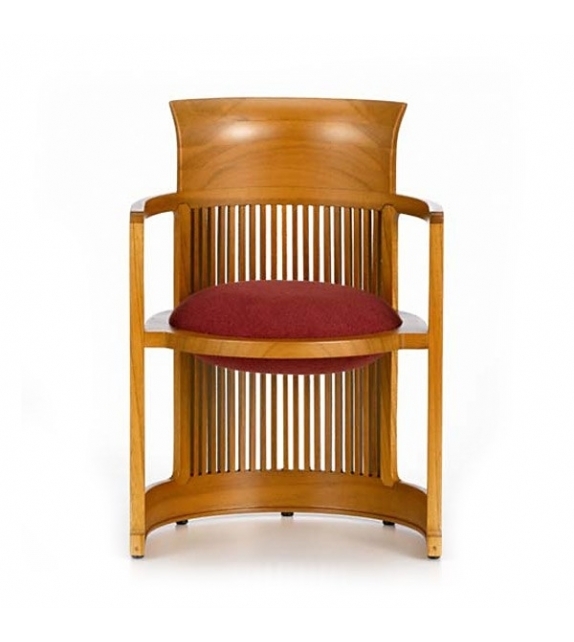 Original features included a flared backrest, square spindle supports and a cushioned double-sided circular seat. 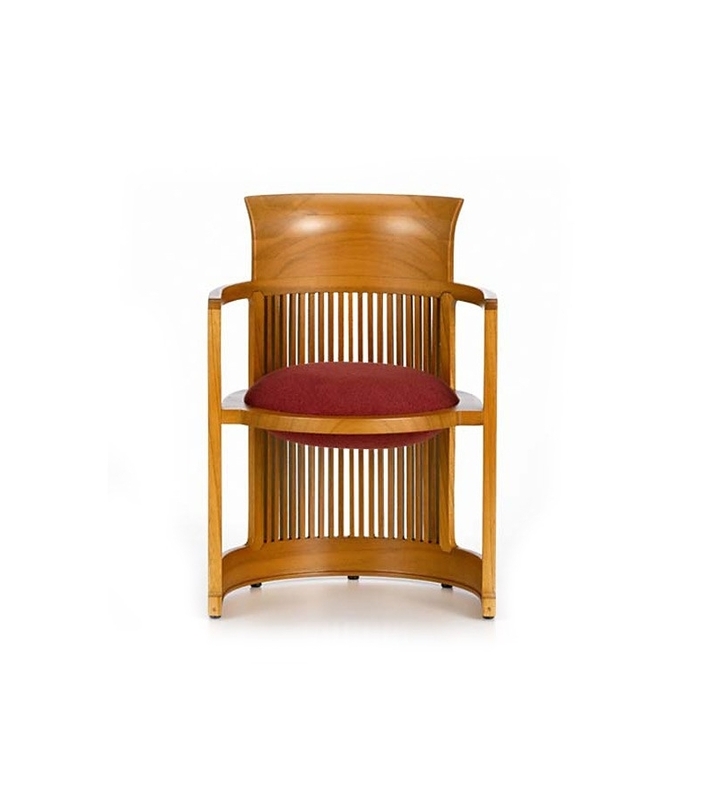 In 1937, Frank Lloyd Wright re-created the Barrel Chair design in a larger version with other design modifications for the residence of Herbert F. Johnson, known as “Wingspread”, to accommodate the expansive rooms and towering ceiling heights. It is currently available in the United States exclusively from Copeland Furniture, and under special agreement is also available from Cassina, S.p.A. in Europe and other countries. Cherrywood, velour cover, plastic gliders. Made in Poland.